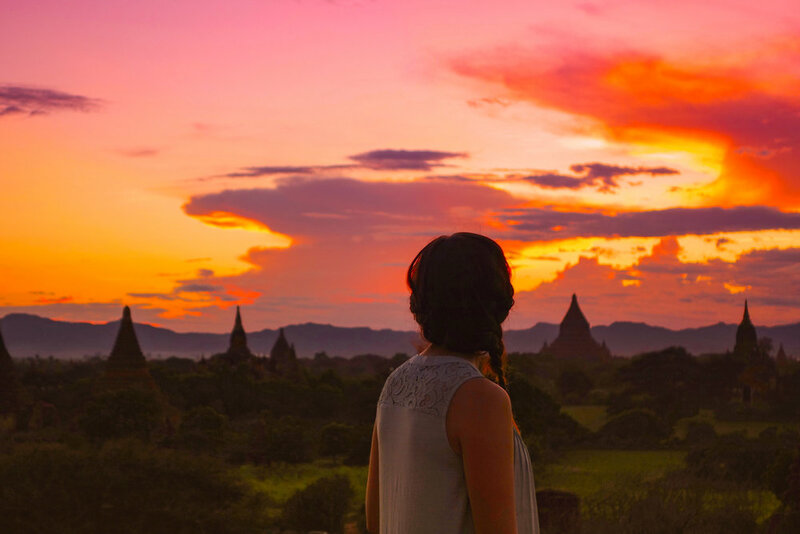 Immediately after Myanmar opened its doors to the international community in 2011, the question on all adventurous travelers' minds, in addition to their excitement, was, "is it safe?" The country had been under strict military rule for nearly 60 years, with all forms of life controlled and regulated. The open doors were certainly promising, but could they be trusted? Myanmar, a place lost to time, a land of a thousand temples, and a mysterious water world. Fisherman rowing with their feet, long-necked women weaving with the silk from lotus flowers, and ancient temples as far as the eye can see. This is Myanmar, but don’t be disillusioned. While these places are real, this is no longer the untouched land you’ve dreamt about. By the time you’ve finished reading this it will be even less so. Let me explain. The best way to see Bagan is from the air, specifically, a hot air balloon. Floating peaceful high above the temples, you will see and experience this majestic place in a whole new way. If you haven't been to Myanmar, go now! Hurry, before it is too late! This country is changing so rapidly, you risk missing out on a people and culture unspoiled by the materialism of the West. In case you need a little nudge out the door, scroll through these pictures, and don't forget to follow along as we explore more amazing wonders.